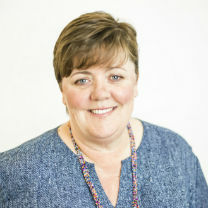 Cathy Murphy was the Executive Director from August 2009 until April 2019. We are currently recruiting for this role and will update this site as soon as an appointment has been made. Lorna joined us in March 2012, bringing with her the invaluable experience of many years in fundraising and donor relations for well-known organisations. Lorna is our 'Community Champion', with her history in the charity sector reflecting her strong belief in the importance of inspiring community involvement - a philosophy that is thoroughly in tune with the aims of the Mary Potter Foundation. Susie joined us in August 2018 in a communications and engagement role that builds on her many years of working in broadcast media and advertising, finance and administration. Concurrently completing a university degree, Susie is our resident storyteller, working with a range of mediums that support the fundraising and engagement objectives of The Mary Potter Foundation. Angela joined The Mary Potter Foundation team in August 2018. Coming to us from a background in customer service, administration and the fashion industry, this is Angela's first role in the not-for-profit sector.